European art and architecture of the Middle Ages (known inappropriately as ‘Gothic’) was a universal style, and in certain countries, notably England and Germany, began in the early 19th century to be regarded as having national resonances and meanings. In England, the style never really died, for in certain areas where there was a supply of freestone, craftsmen went on working in ‘Gothic’ long after the Renaissance had prompted a revival of Classicism. In the 18th century, however, prompted by the Romantic movement and by considerations of nationhood, Gothic began to be fashionable, and architects invented a style called ‘Gothick’ which bore but small resemblance to real mediaeval architecture. Georgian Gothick, therefore, was really a new style, an exotic invention, connected with Rococo, Chinoiserie, and the exotic as a refreshing change from the strict rules of Classicism and Palladianism. Serious study of real mediaeval architecture only really began in the last decades of the 18th century, prompted partly by difficulties travelling abroad because of the Continental Wars of the French revolutionary period, and partly from a growing sense of national pride in times of isolation and danger. After the French Wars, the association of Gothic with the Nation was strengthened by Romantic literature, and when the Palace of Westminster burned down in the 1830s, the styles thought appropriate for the replacement were only Elizabethan or Gothic, and Gothic won the day. In 1836, too, A.W.N. Pugin published his devastating attack on the architectural establishment, associating Gothic with Christianity, especially with Roman Catholicism, giving a moral dimension to the style. The result was a Gothic Revival that was of immense importance, and not only for ecclesiastical buildings, but for secular ones as well. For a time Gothic was the only style acceptable in certain quarters, and it had to be Gothic based on sound scholarship and understanding: it led to Art Nouveau, to the Domestic Revival, and to the Arts-and-Craft Movement, the last two of which had profound resonances on the Continent, especially in Germany. 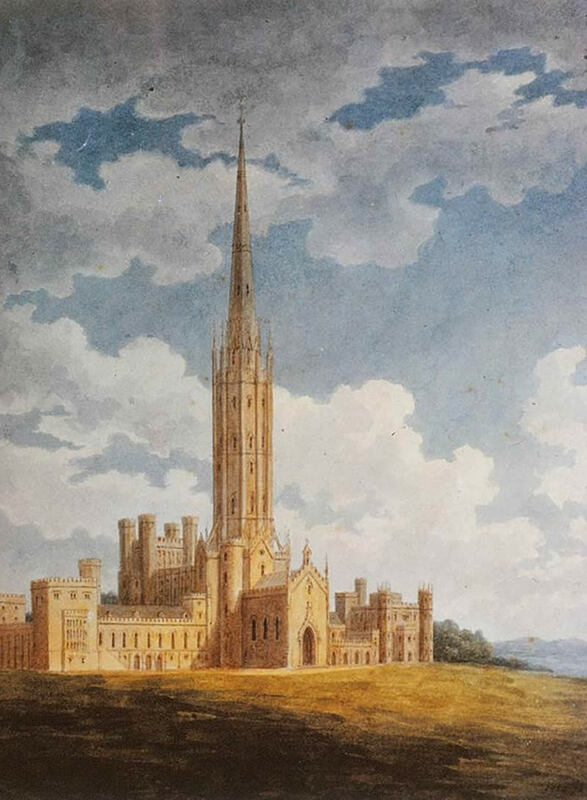 This lecture deals with the fecund, amazingly inventive, self-confident, and rich Gothic Revival which was probably the most important contribution England made in the history of architecture.